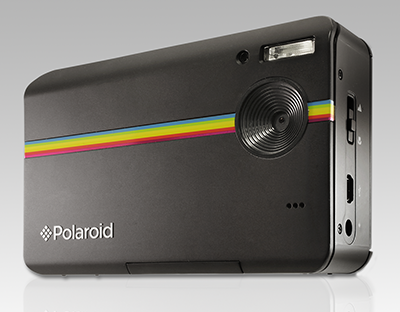 A licensee of the Polaroid brand name has created the Z2300 Instant Digital Camera - a compact camera with built-in Zink printer. The Z2300 produces 2x3" prints using the Zink 'zero ink' system that uses heat to control the development of colour images from layers of dye encapsulated in specially prepared paper. The Z2300 is distinguished from the existing, larger Z340 model by its use of the smaller 2x3" format, rather than 3x4". Like the Z340, the Z2300 can leave white borders around the image to imitate a classic Polaroid print. The 2x3" Zink paper in the Z2300 will be available at a cost of around $15/£10 for 30 sheets. The robot wars have begun, and no matter how fast you choose your weapon - rock, paper, or scissors - the robot will beat you every time. The three-fingered robotic hand developed by Ishikawa Oku's lab at the University of Tokyo has a dirty secret: it cheats. A high-speed video camera runs at over 1000 frames per second and watches your wrist and fingers as you begin to form the shape. The robot's visual recognition program needs only one millisecond to figure out which shape your hand will take, and choose the one that will beat you. When the human player in the video above tries to change his shape at the last minute, it still can't fool the robot at the game, which is called janken in Japan. Its timing is so precise that it never shows its hand too early, and it wins 100 per cent of the time. This kind of high speed vision may have a more practical use than arming robots so they'll always get to bat first at robot baseball. Robots can recognize speech in real time by the forms the human mouth takes, cooperate with humans performing precision tasks that take two, and maybe intervene in an accident before it happens. The janken game is an early example of what Oku's lab calls "meta-perception": the Sherlock Holmes-like ability of machines to pick up information humans would miss. Engadget has published a comprehensive review of Nokia's camera-centric phone. 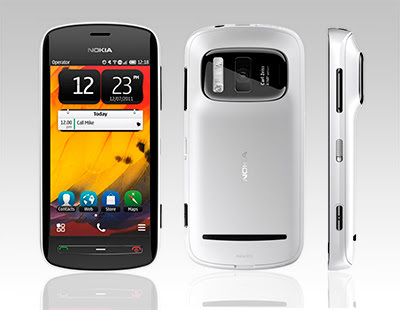 "The Nokia 808 PureView has a 41-megapixel camera sensor. That huge sensor is paired with a new five-element Carl Zeiss lens and a refreshed flash with double the strength of the one on the Nokia N8 - the existing cameraphone champ." "So what do images taken with the 808 PureView look like? Stunning, detailed, vibrant and noise-free. The sweet spot appears to be 8-megapixel PureView shots with little to no zoom - this provides the ideal conditions for pixel oversampling to do its magic." "When zooming in all the way or when taking pictures at full-resolution (thus revealing the sensor's original pixels) we noticed a bit less detail and a touch more noise. Even then, the results surpass that of capable shooters, like the HTC One X." "In our tests, exposure was spot on and low-light performance was spectacular." "The Nokia 808 PureView is the best cameraphone out there, but you'll have to be willing to forgo the simplicity, function and comfort of competing smartphones if you intend to own it." "You also have to be seriously imaging-obsessed to handle this as your daily driver... with constrained options and an OS that often collapses under the weight of even moderate demands. [It is] a clear cameraphone champion. The problem is, it's one that demands a more capable and (future-facing) operating system." Google scientists working in the secretive X Labs have made great strides in using computers to simulate the human brain. Best known for inventing self-driving cars and augmented-reality eyewear, the lab created a neural network for machine learning by connecting 16,000 computer processors and then unleashed it on the Internet. Along the way, the network taught itself to recognise cats. While the act of finding cats on the Internet doesn't sound all that challenging, the network's performance exceeded researchers' expectations, doubling its accuracy rate in identifying objects from a list of 20,000 items. To find the cats, the team fed the network thumbnail images chosen at random from more than 10 billion YouTube videos. The results appeared to support biologists' theories that suggest that neurons in the brain are trained to identify specific objects. 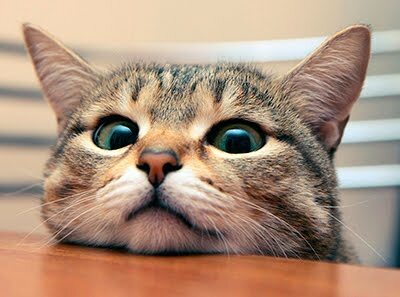 "We never told it during the training, 'This is a cat,'" Google fellow Jeff Dean told the newspaper. "It basically invented the concept of a cat." 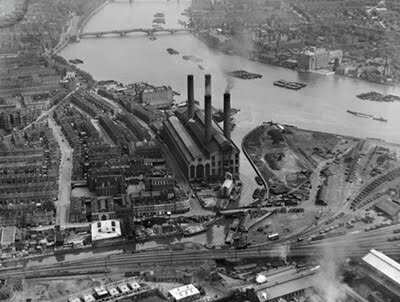 English Heritage today launched a new website, Britain from Above that will host little-seen images of London taken between 1919 and 1953. Part of a commercial collection of aerial photographs, this treasure trove of historic shots has been painstakingly restored and digitised over several years. The new website invites users to upload images and customise galleries, and also help English Heritage identify the locations of images that have thus far remained elusive to researchers. The London part of the collection includes shots of the All England Lawn Tennis & Croquet Club in Wimbledon, the Bank of England and Royal Exchange, Lambeth Bridge and the Olympia Exhibition Centre. Ben Eine is one of London’s most prolific and original street artists who specialises in the central element of all graffiti — the form of letters. 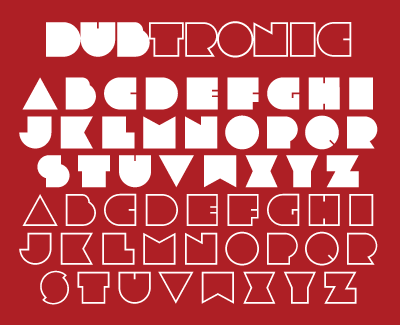 So it’s only natural that his work should be adapted to become a font for modern age computers. 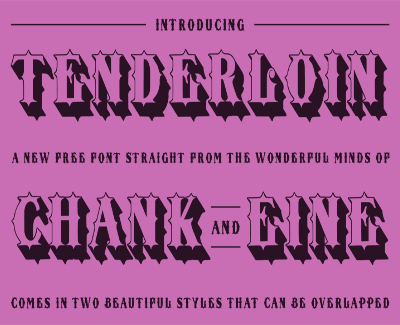 Tenderloin comes in two beautiful styles that can be overlapped. 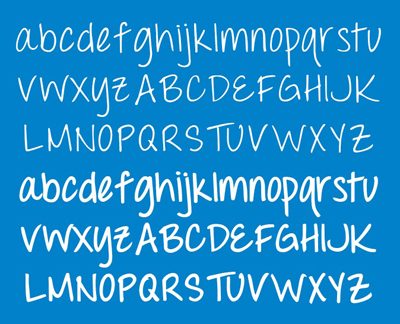 The uppercase are the fills, and the lowercase are the shadows; set them in defferent colors on overlapping text blocks and voila! you get thrilling two-colour type! Ben likes to call this his ‘San Francisco font’ because it is based on the lettering style he used on a number of aerosol murals and letters he painted on the shutters and walls of San Francisco’s Tenderloin district in 2010 and 2011. Belkin has finally put its WeMo Switch and Motion products up for pre-order. You can reserve yours through Belkin or Amazon, with the Switch costing $49.99 and the Motion/Switch bundle setting you back $99.99. Rig the Switch up to your WiFi at home and you can control the flow of juice from its outlet via the WeMo iOS app (sorry, no Android love). Add in the motion detector and you can set rules for power control based on proximity triggers. Belkin also reports IFTTT integration, meaning the devices can be used for a lot more than the simple on/off remote commands and scheduling we originally thought. For those with iDevices, the free WeMo app is available now, not that it's particularly useful just yet. What if buttons could morph out of the surface of your device? Tactus Technology has developed a tactile user interface for touchscreen devices that does exactly that. Tactus provides a new dimension to touchscreens by enabling physical buttons that rise up from the surface on demand, and then recede back into the screen, leaving a perfectly flat, transparent surface when gone. Speaking at an event in Hollywood chief executive Steve Ballmer said the touchscreen devices, which are likely to launch from October, made 'no compromises' between tablet and PC capabilities. Two versions were demonstrated, one running Windows RT, the new version of Windows that resembles Windows Phone and uses low power processors, and another running the full Windows 8 and using traditional Intel chips. Although no prices were announced, some specifications were released. The two devices will be 9.3mm and 13.5mm thick respectively, and both will feature 10.6” HD displays and a kickstand. They will weigh 676g and 903g respectively, and also both come with a new case incorporating a thin keyboard. The Pro Version offer up to 128GB of memory, while the RT will come with either 32GB or 64GB. 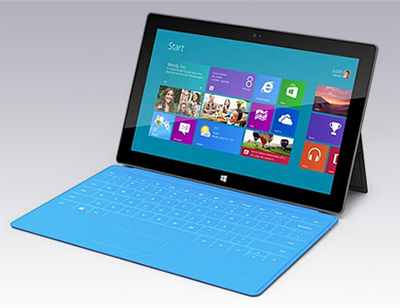 In a Microsoft press release, the company claimed “Surface sports a full-sized USB port and a 16:9 aspect ratio – the industry standard for HD. It has edges angled at 22 degrees, a natural position for the PC at rest or in active use, letting the hardware fade into the background and the software stand out”. 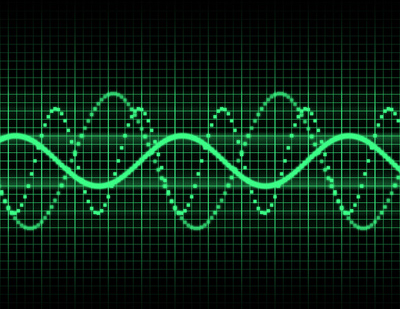 Gizmodo has published links to a range of tech sounds that used to be commonplace. Font Squirrel is hosting this all caps display face, in solid and outline versions. The Imps get down to business the moment you wake up: Your blinds automatically open, and your coffee maker starts brewing your favorite dark roast. Throughout the day, the Imps assume control over other household technology. Your garage door sends you a text message confirming that it’s closed. Your fridge sends you a shopping list reminding you to buy milk. Your ambient room lighting changes color at dusk for a more moody vibe. And when 9 p.m. rolls around, your dishwasher turns on to take advantage of cheaper utility rates. What makes Electric Imp unique — and perhaps a better solution than others — is that it can work with any electronic device. You don’t need to lock into a relatively closed system from a single standards alliance. The whole Imp service is based in the cloud, so there’s no need for a central controller or networking protocol. It’s incredibly easy to set up. 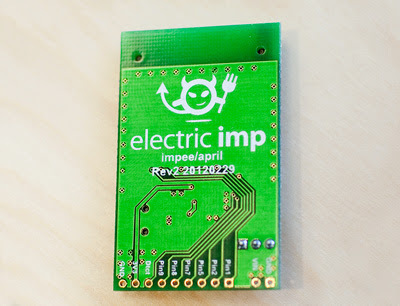 And it’s inexpensive — Electric Imp has targeted its Imp boards (the hardware into which the Imp cards are slotted) to cost manufacturers less than a dollar. The MIT team, comprised of Parthiban Santhanam, Dodd Joseph Gray, Jr., and Rajeev J. Ram, have created a common-sense-busting ultra-efficient LED with an efficiency of 230 percent. Their light draws 30 picowatts of power, yet produces 69 picowatts of light. 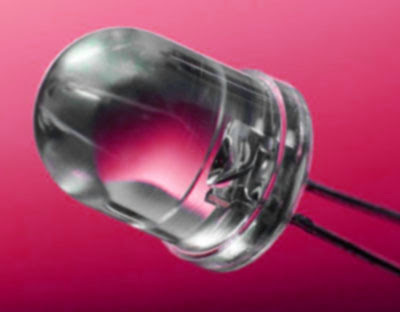 The researchers chose a light-emitting diode with a small band gap, and applied such small voltages that it acted like a normal resistor. With each halving of the voltage, they reduced the electrical power by a factor of 4, even though the number of electrons, and thus the light power emitted, dropped by only a factor of 2. Decreasing the input power to 30 picowatts, the team detected nearly 70 picowatts of emitted light. The extra energy comes from lattice vibrations, so the device should be cooled slightly, as occurs in thermoelectric coolers. The gist of the "lattice vibrations" is that the device draws in ambient heat from outside of itself and converts that into light. It's an exciting prospect, even if the breakthrough is currently more academic than anything else: "These initial results provide too little light for most applications," the research synopsis admits. A picowatt is just one milion millionth of a watt. 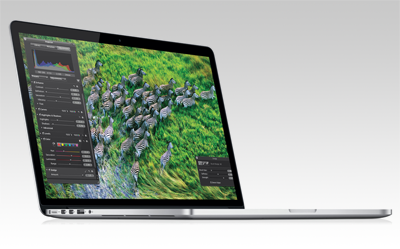 Upgraded laptops and desktops, iOS6, Mountain Lion and a very, very desirable 2kg, 18mm thin, 'Retina' display (2880 x 1800 pixels) uber MacBook Pro. 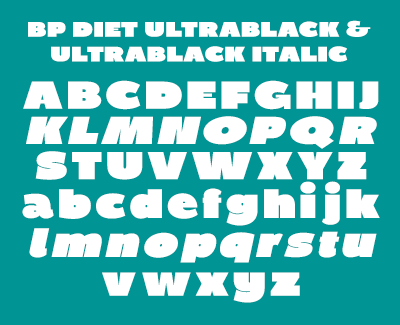 Font Squirrel is hosting this ultra-bold typeface, including an italic version. 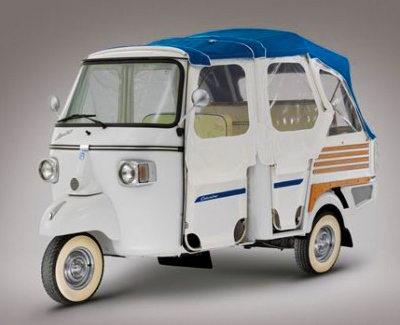 Introduced in 1960s, the Piaggio Ape Calessino was an instant hit, and Hollywood stars used them to drive around their exclusive holiday spots and islands. Re-introduced in 2007, the modern Calessino is a limited edition, with only 600 units available. The modern version comes in two engine configurations – 422cc diesel and electric. 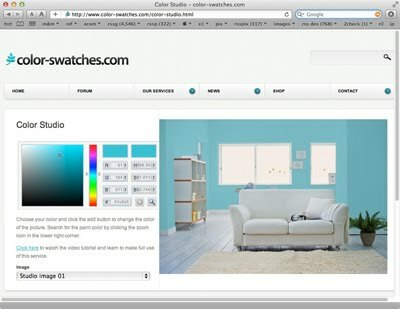 color-swatches.com provides a number of web-based colour choosing/matching solutions, including a very enjoyable 'choose the wall colour of your room' widget. 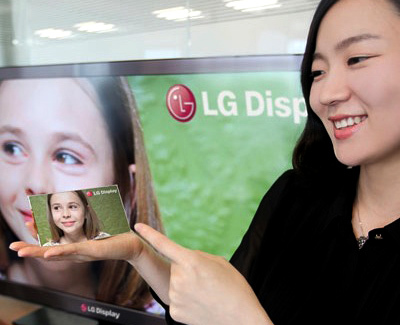 LG Display's newly-announced 1920 x 1080p HD mobile display was designed with HD content in mind, and the LCD technology is a variant of IPS known as Advanced High Performance In-Plane Switching (AH-IPS), which is said to boast wide viewing angles, fast response times and improved brightness efficiency. The display is set for availability during the second-half of this year. Free for personal use, donate for commercial use.